Today's map comes from Dorothy Gambrell at Psychology Today. 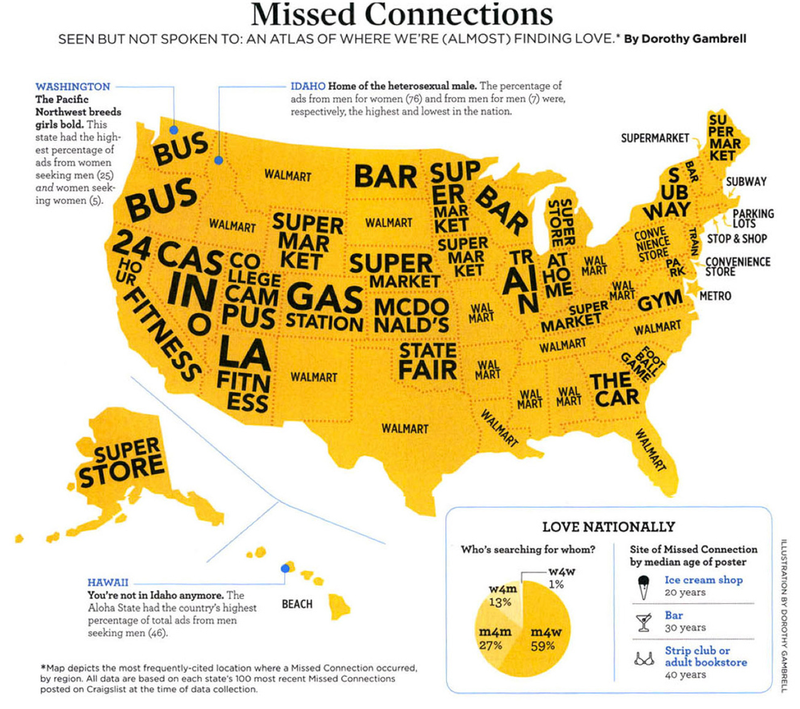 In 2013, the designer dove into Craigslist to find out where people were (almost) meeting in each state. Get ready for a lot of Walmarts. There are also some tidbits scattered around the map—like how as people age, they stop going to ice cream shops and start going to adult bookstores. Click here for an enlarged version.